3 Palms is a two-story boutique hotel ensconced in adobe architecture that offers some of the most luxurious lodging in Scottsdale. Guests visiting Scottsdale for both business and pleasure will appreciate the attentive staff, delightful service, and exceptional hotel amenities. 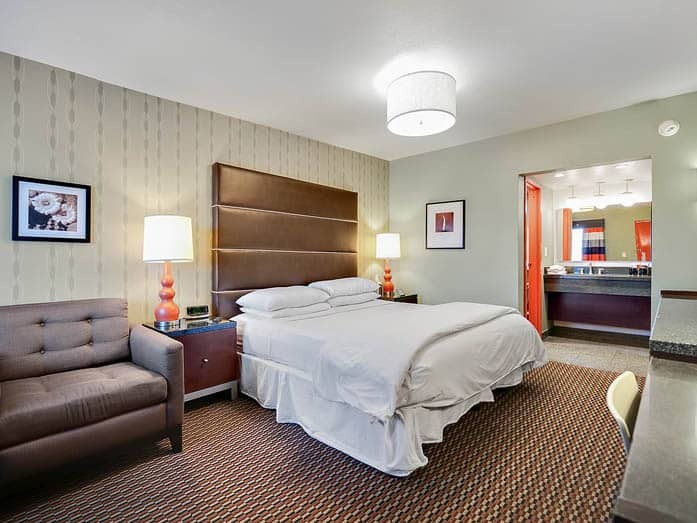 From the deluxe guest rooms and on-site recreational, business, and relaxation services, to its central location near popular attractions, 3 Palms offers top-notch comfortable and convenient accommodation in Scottsdale. 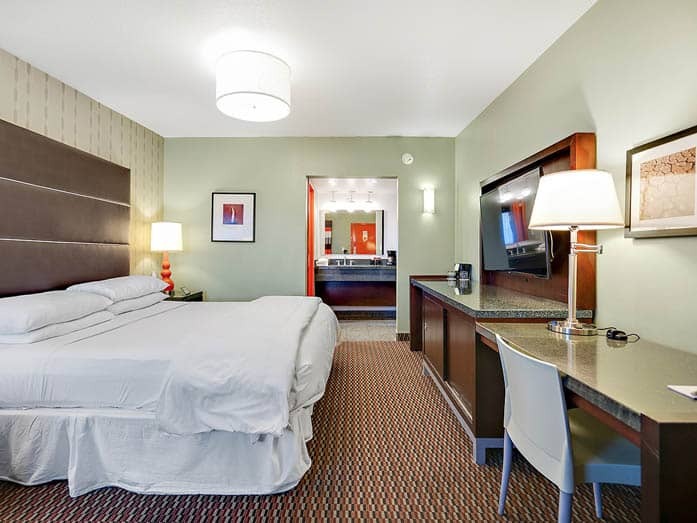 This 2 room suite is ideal for a romantic getaway. The living room has a 50 inch television, inroom safe and its own bathroom. The sleeping room is equipped with a luxuroius king size pillow top bed, 400 thread count sheets and down comforters and a Kohler whirlpool tub built for two. As with all our guest rooms, this room has contemporary furnishings accented with black granite walls and floor in the bathroom. Wireless internet access is available property wide with high speed dataports within the room. Each of our beautifully appointed guest rooms come complete with a 50 inch televison with premium cable channels, personal sized microwaves and refrigerators as well as a safe, blowdryer, phone, personal coffee maker, iron & ironing board.The Accessible Parlor Suite is 483 sqft. This 2 room suite is ideal for a romantic getaway. The living room has a 50 inch television, in room safe and its own bathroom. The sleeping room is equipped with a luxuroius king size pillow top bed, 400 thread count sheets and down comforters and a Kohler whirlpool tub built for two. As with all our guest rooms, this room has contemporary furnishings accented with black granite walls and floor in the bathroom. Wireless internet access is available property wide with high speed dataports within the room. Each of our beautifully appointed guest rooms come complete with a 50 inch televison with premium cable channels, personal sized microwaves and refrigerators as well as a safe, blowdryer, phone, personal coffee maker, iron & ironing board.The Parlor Suite is 483 sqft. 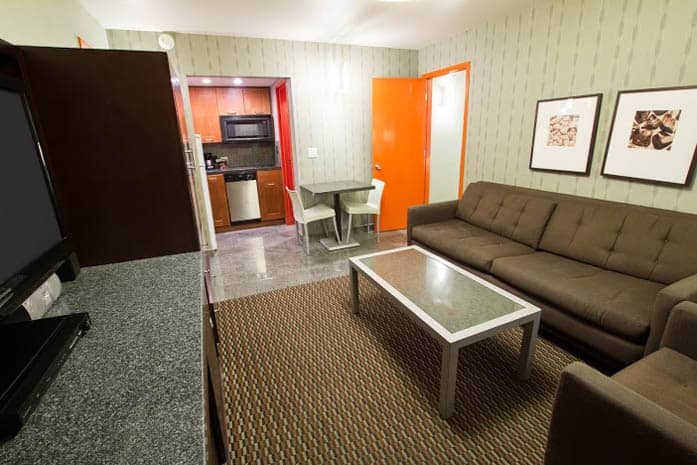 This 2 room suite has all the comforts of home in its own living room. 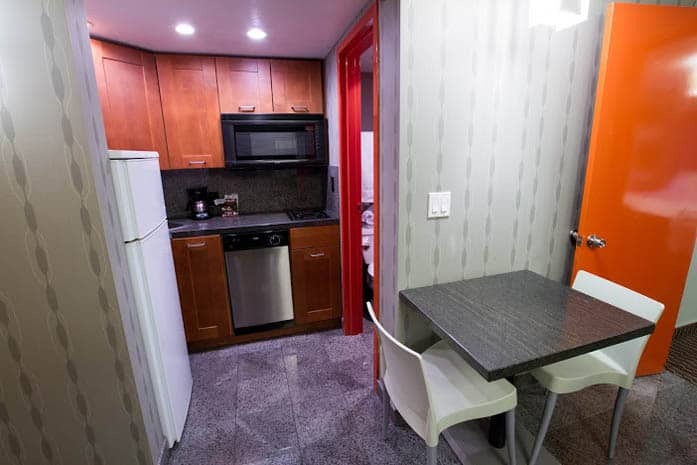 This includes seating for 4 in the main room complete with a kitchen with cooking, eating utensils, mid size refrigerator and an automatic dishwasher. The living room has a 50 inch television, queen size sofa bed, inroom safe and its own bathroom. The sleeping room is equipped with 2 queen size beds including pillow top mattresses, 400 thread count sheets and down comforters. As with all our guest rooms, this room has contemporary furnishings accented with black granite walls and floor in the bathroom. Wireless internet access is available property wide with high speed dataports within the room. 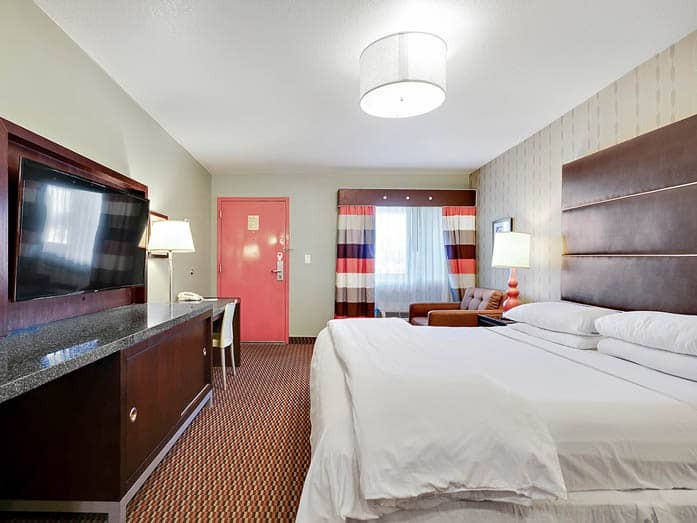 Each of our beautifully appointed guest rooms come complete with a 50 inch televison with premium cable channels, personal sized microwaves and refrigerators as well as a safe, blowdryer, phone, personal coffee maker, iron & ironing board.The Deluxe Suite Two Queens is 483 sqft. Blending Desert Warmth with a Rich Contemporary Ambiance. Scottsdale lodging is truly at its best at 3 Palms, with deluxe rooms, suites, and deluxe spa rooms. 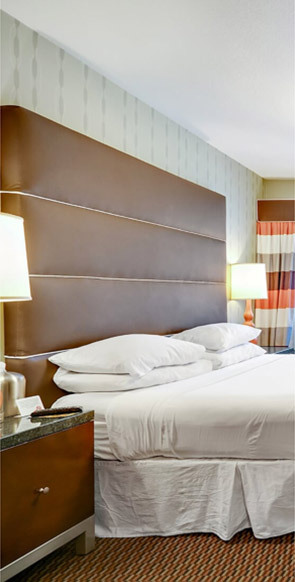 Deluxe guest room walls are embellished with contemporary modern art and every room features custom furnishings. 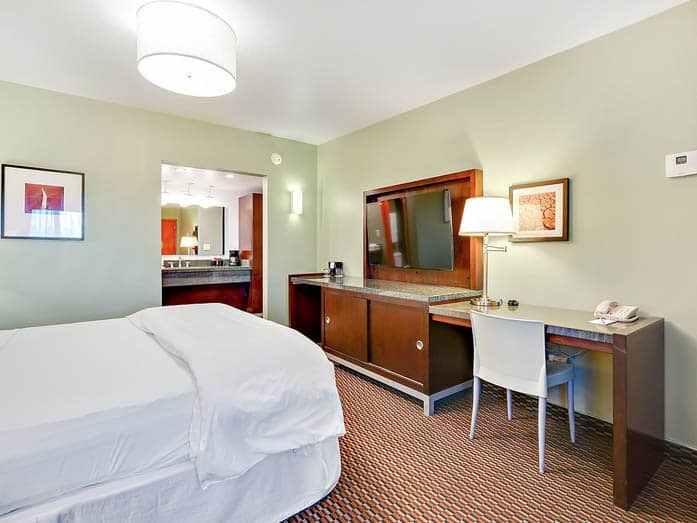 Business travelers will appreciate the work desk, dual cordless phone lines, and wireless internet access in the rooms and throughout the lobby. Guests looking to relax will enjoy the pillow-top mattresses in king or queen size, with down comforters and four plush pillows per bed. 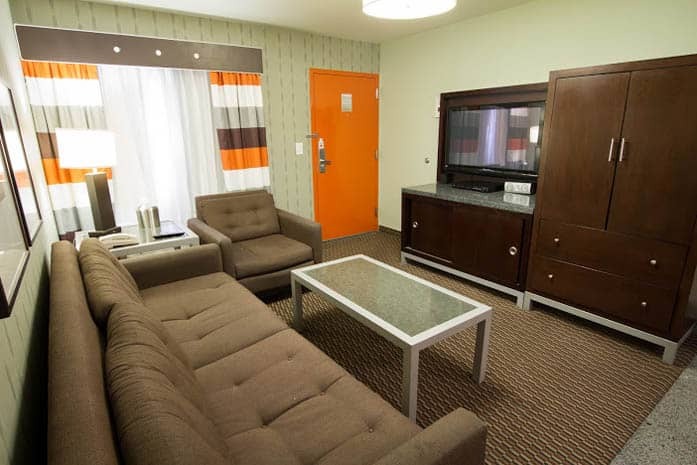 50” flat-screen televisions grace the entertainment centers, with premium cable channels for guests' enjoyment. 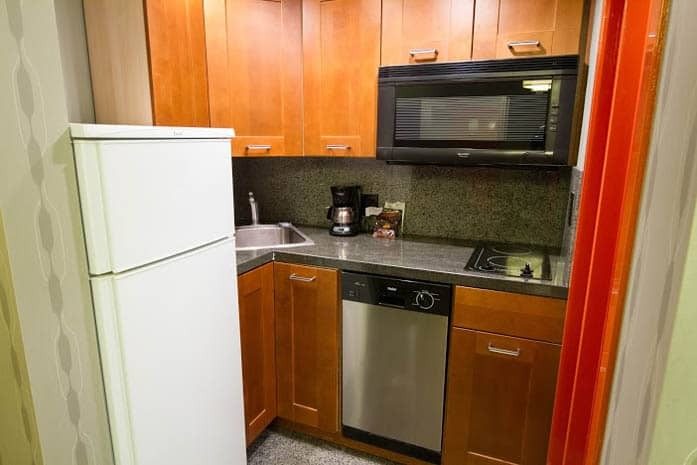 A coffee maker, refrigerator, and microwave are also included, making this a comfortable and convenient choice for your stay in Scottsdale. Suites and deluxe spa rooms offer guests some of the most exceptional lodging experiences that Scottsdale has to offer, including luxurious in-room amenities. Not only are all of the standard room amenities included, but the 3 Palms suites offer either one or two bedrooms with separate living areas for optimal space during your stay. Deluxe spa rooms also come with all the same features, plus a large spa soaking tub built for two. Guests will be hard pressed to find a more extravagant stay combined with exceptional value anywhere in Arizona. Besides the immaculate guest rooms, suites, and deluxe spa suites, the other hotel services and amenities offered solidifies the 3 Palms as a premium purveyor of hospitality in Scottsdale. A large outdoor pool provides a tropical space to cool off at on hot Arizona days, and guests looking to bask in the sun can also do so on the fabulous sun deck. A hot tub and fitness center are also provided for guests to relax and stay on track with their workout routines during their trip to Scottsdale. As one of the top options for lodging in Scottsdale, 3 Palms also provides a business center and dry-cleaning service for working guests on the go. Although the extravagant hotel services and amenities may cause you to never want to leave our beautiful hotel, some of the biggest perks of visiting Scottsdale are the unique local attractions. Located just two miles from Old Town Scottsdale, 3 Palms is a quick drive or leisurely walk to some of this city's greatest restaurants, shops, and tourist attractions. 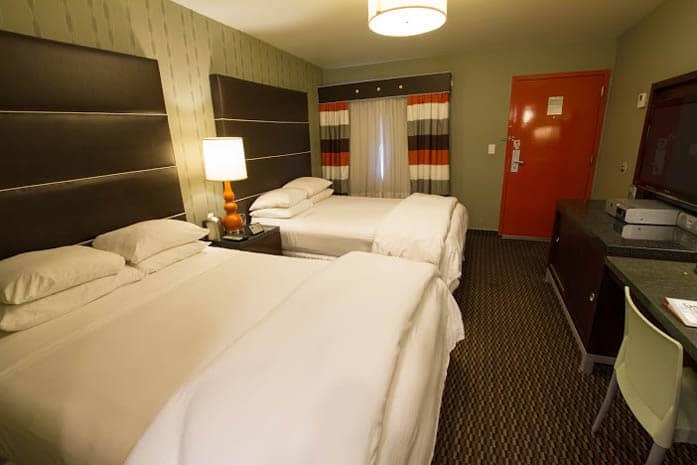 3 Palms is three miles from Fashion Square Mall and just four miles from the exciting campus of Arizona State University, making this a great hotel option for proud families visiting their beloved college students. 3 Palms is also located next to El Dorado Park, a favorite among Scottsdale natives and visitors alike. Guests can enjoy the outdoors while playing basketball, frisbee golf, volleyball, tennis, swimming, skateboarding, biking, hiking, jogging, and more at this easily accessible park.